Pirate’s Cove Marina, Manteo, North Carolina: Point Runner was on point all week long. 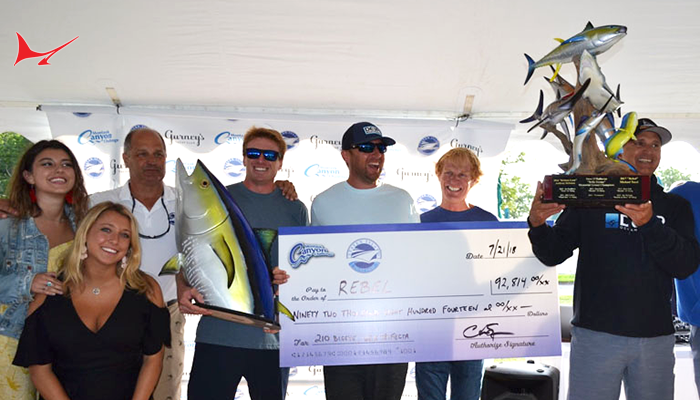 The 60-foot Guthrie charter boat based at the Oregon Inlet Fishing Center led the 2017 Pirate’s Cove Billfish Tournament from start to finish with 20 white marlin releases and the top tuna prize. Captain and owner Chris Kubik, Capt. 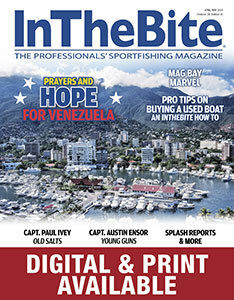 Lucas Jolly, mate Scotty Simpson and the experienced team of anglers earned a payout of $231,193 for multiple awards. 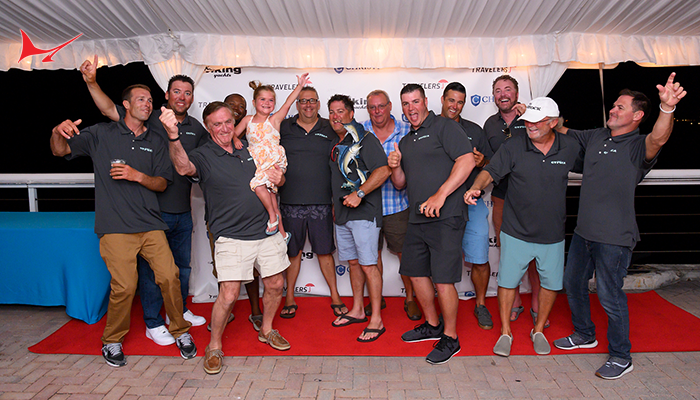 Point Runner was the top boat of the week, first place overall, first place tuna (69.8 pounds), first place in the Day One daily and jackpot and second place in the Day Two daily. 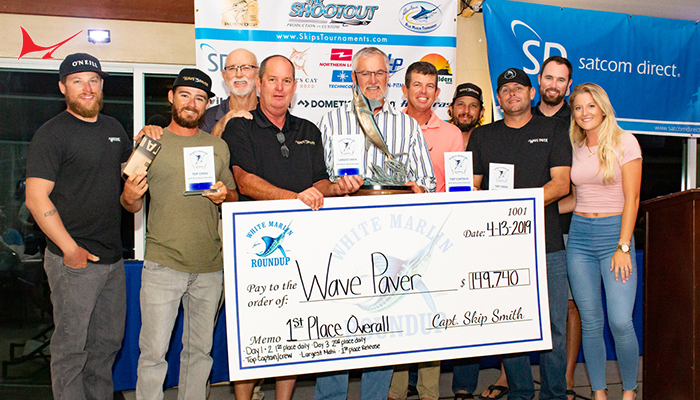 Fellow charter skipper Arch Bracher and his crew aboard Pelican, a 56 Paul Mann also based at Oregon Inlet, took home a consolation prized of $151,036. 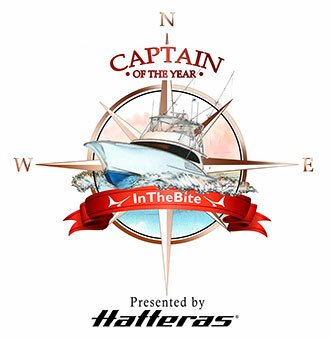 The team won second place boat and overall points, plus first place in the Day Two daily and jackpot for 17 white marlin releases. Fin Planner, a 58 Buddy Harris run by Capt. Chris Gornell (with mate Danny Prettyman) came in third place with 15 billfish releases. The team earned $55,048 for its efforts. Chasin’ Tail, a 68 Bayliss with Capt. Butch Davis at the helm and Hovie Aiken in the cockpit, won trophies for fourth place honors (14 releases). Rigged Up was fifth overall with 13 billfish released. Capt. Charles Haywood and mates Graham Alexander and Garrett Holden crew the 54 Omie Tillet. A total of 555 billfish were released by the 79 boats participating in the this year’s event. 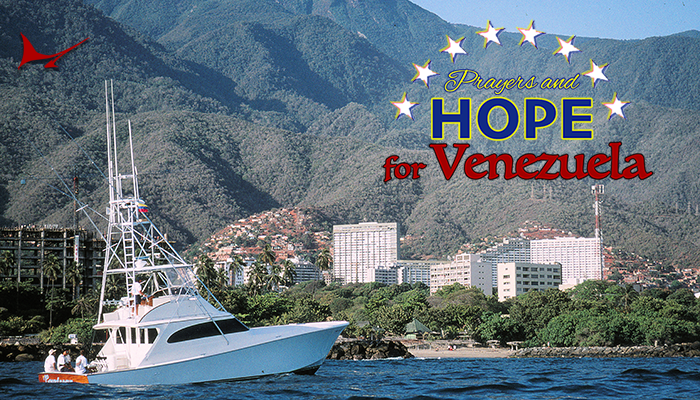 The catch included 429 white marlin, 46 blue marlin, 78 sailfish and two spearfish. No blue marlin were weighed, but releases with photo verification earned an extra 50 points. Boats earned prize money for the top releases per day and daily jackpots. The first billfish caught each day was worth $5,000. Sandra D, a 58 Hudson with Capt. Mike Merritt at the helm, won $87,472 for first place in blue marlin release division with three fish. Derek Anderson is the Sandra D mate. Capt. Will Ross, mates Mike Fulgam and Joel Groetsch and the team aboard Full Choke, a 38 Jarrett Bay, took second place in the blue marlin release points and the first fish of Day 4, good for a $42,488 payout. Sea I Sea, a 72 Viking run by Capt. Rob Mahoney, and Sea Hag, a 61 Blackwell with Capt. Dave Ed Graham, both won $68,464 for daily payouts (seven and six fish, respectively). Other boats claiming prize money for daily catches include Ann Warrrick, Builder’s Choice and Wave Paver. Traveller, Plane Simple and Sea Toy joined Full Choke as the $5,000 first fish daily winners. 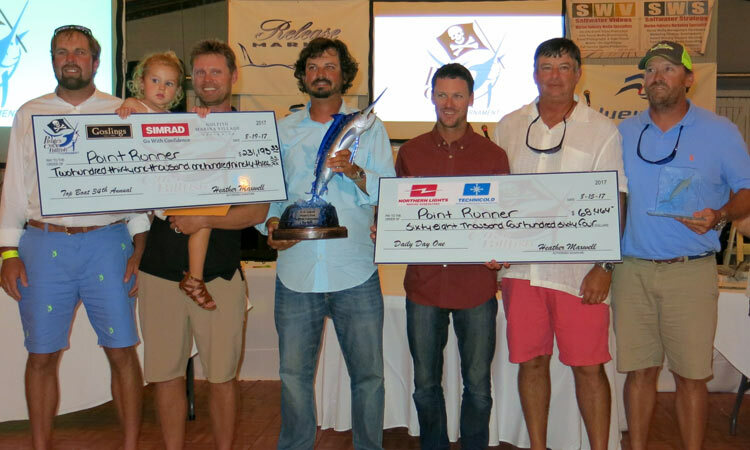 In the individual angler categories, Ryan Dayton was named the top angler for six billfish (650 points). Dayton was fishing aboard Martha D, a Viking 52 run by Capt. Scott Fawcett, with mates Matt Copolletta and Kyle Francis. Stacey Allen earned top lady angler honors for nine billfish released (900 points). She was fishing on Wall Hanger, a 59 Paul Spencer with Capt. Gray Blount on the bridge and Jason George, John Muter and Jonathon Oglesby manning the cockpit. E.J. 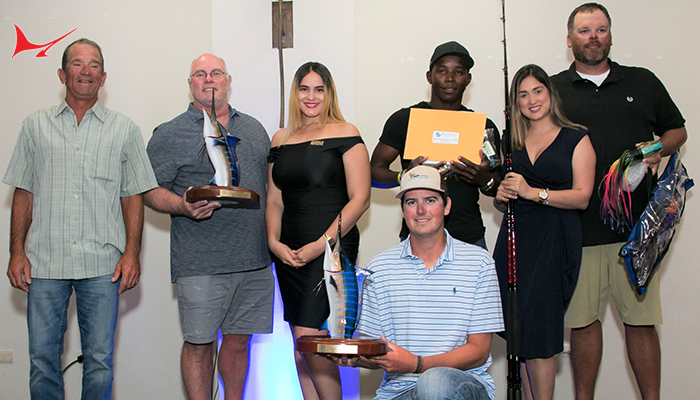 Nettles represented the future of the sport by snagging five billfish and the top junior angler title. Nettles was competing aboard Short People, a 48 Ocean run by Capt. Jeff Hagan. Ross Darling wound in the top dolphin of the week, a bull that tipped the scales at 50.7 pounds. Darling and his team won $10,853 on Desperado (VA) with Capt. Bryan Peele on the throttles. Gary Ingram won the same amount of money for his 54.3-pound wahoo, caught on Trophy Box, a 57 Island Boatworks with Capt. Ronnie Fields. Micheal Lamb was on the rod for Point Runner’s winning yellowfin. Game fish totals for the week included 12 dolphin, 14 yellowfin tuna, plus three blackfin tuna and wahoo each. Major sponsors of the 2017 PCBT were the Pirate’s Cove Marina, Pirate’s Cove Realty, Golfito Marina Village, Simrad and Release Marine. Goslings Rum, Jefferson’s Bourbon and Tito’s Vodka were the week’s bar sponsors. The 2018 Pirate’s Cove Billfish Tournament is set for August 13-17 at the Pirate’s Cove Marina in Manteo, North Carolina.